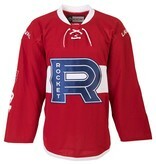 The all-new CCM Laval Rocket jerseys are now available for pre-sale! Get ready for the historic beginning of a brand new franchise in Laval. Place an order for the jersey now and receive it in September in time for the start of the inaugural season. *Please note that your purchase will be charged the day you place the order. 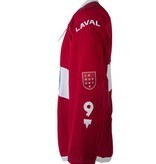 Our return and exchange policy is extended for all Laval Rocket jersey purchases. 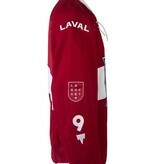 If your jersey is the wrong size or doesn’t fit, you can exchange it within the 30 days upon reception of your jersey.